Legions of supernatural monsters are planning to invade Auburn Pines on Halloween night, and it’s down to a group of twelve-year-old friends—along with an ever-changing line-up of magical costumes—to save their hometown. Based on the smash video game series by Double Fine Productions and the world originally created by Tasha Sounart. Will McRobb (The Adventures of Pete & Pete) serves as story editor and executive producer. Visit the Costume Quest IMDB page. Play Costume Quest and Costume Quest 2 on Steam. 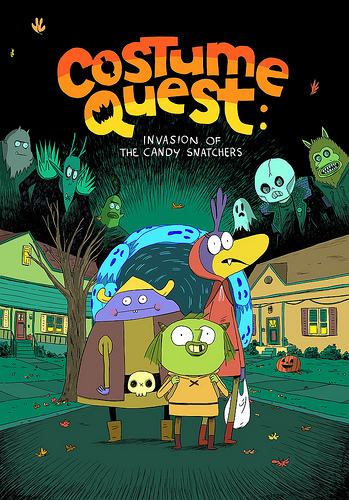 Check out the graphic novel inspired by the original video game: Costume Quest: Invasion of the Candy Snatchers, written by Zac Gorman.